Curious George cowboy Licensed handmade fleece baby toddler blanket 29"X46"
Out of print, rare, Curious George as a cowboy fleece baby blanket. Great for a toddler comfort blanket. This blanket is soft and lightweight. 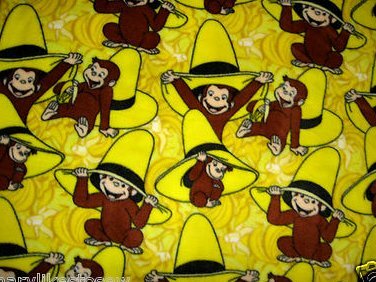 New handmade fleece blanket depicting Curious George. too cute baby blanket or car seat warmth blanket.